Most children spend their childhood playing with friends, going to school, and doing normal child things. But Zac* was not like most children he knew. After school, Zac came home to be the man of the house – cooking, doing the laundry, and helping to look after his five younger siblings. You see, Zac’s father had been in and out of prison since he was seven years old. Every Sunday for three years, Zac and his siblings would visit their dad in prison. “I don’t reckon things were going in a good direction… things were pretty bad at home,” he says. It was at this point that Zac’s father signed the kids up for Camp for Kids from in prison. At camp, Zac made a meaningful connection with his cabin leader, Aaron*. The two quickly became friends, but Aaron could see that Zac was battling a lot of personal struggles. For the next three years, Aaron and Zac met fortnightly. Zac and his new “older brother” spent time talking together, eating dinner, and going bowling. “He’s a good bloke to talk to – he’s always there and knows what to say,” says Zac. Zac attended every camp since. At his third camp, Zac heard the testimony of another leader. Aaron watched as Zac seemed to switch off. Afterwards, Aaron found Zac crying outside. “There was something in that room,” Zac told Aaron, as he described how God had spoke to him. The two prayed together, and Zac accepted Jesus into his life for the first time. The next year was hard. Zac’s dad came out of prison, so Zac stopped going to youth group, worried that everything at home would not be okay. “It’s upsetting to hear the things he’s gotten up to,” Zac says, angry about the pain his father has caused, but aware that his siblings still love their dad. Broken promises from dad and constant conflict between his parents left Zac stuck in the middle and increasingly bitter. After his next camp experience, things changed again for Zac when he again encountered the Presence of God. Over the long term, Aaron watched as Zac slowly took control over his life, focus on his future, and begin to remove himself from friends who were headed down a bad path. Today, Aaron describes Zac as “a real responsible young man”. Zac has plans for his future to involve hands-on work, through a VCAL course. “As long as I’m with God, nothing much can go wrong!” he says. Zac also now volunteers as a junior leader at Camp for Kids, and loves mixing with the other volunteer leaders. 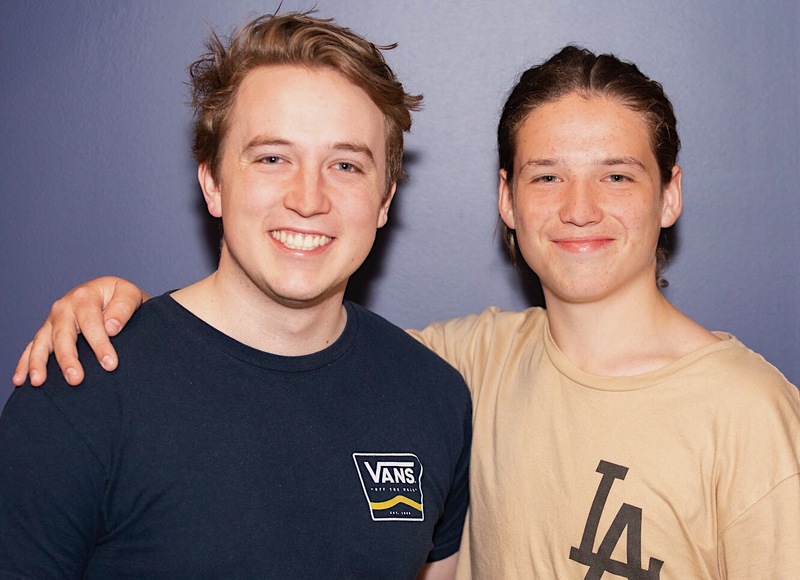 Seeing the positive influence of volunteer leaders such as Aaron in his own life, Zac now volunteers his time to do the same for other kids who have a parent in prison. He loves reading the Bible to kids on camp, and has a special love for the story of David and Goliath – the first story Aaron ever read to him.